Now the Minecraft mobs may appear with an altered state,known as “Infernal”. Infernal Mobs 1.7.2 and 1.7.10 is a responsible mod for generating in our worlds of Minecraft new enemies (random and progressive), which despite maintaining the normal appearance of a zombie, spider, witch, skeleton, Enderman or Creeper, obtained a state known as “Infernal”. 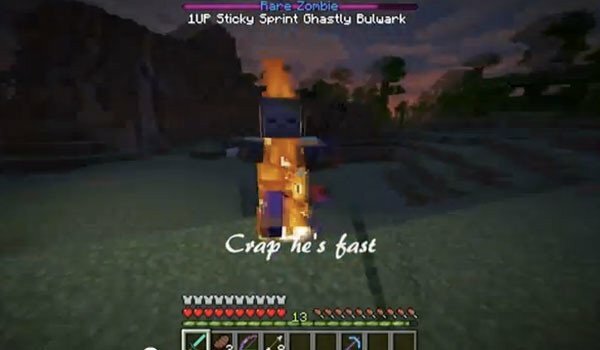 This makes a powerful mob boss, which when removed, drops 4 times more experience than a normal mob, and a weapon, tool, or enchanted armor. Several powerful altered states that make up the Infernal state of a mob, so after another against one remembers go well equipped. How to install Infernal Mobs Mod for Minecraft 1.7.2 and 1.7.10? ¡Epic battles against mobs with altered states!